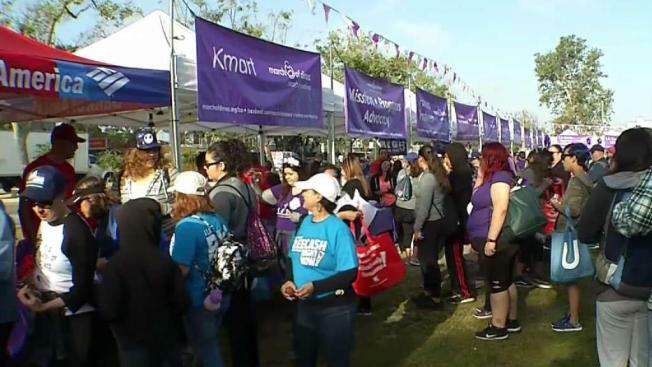 An estimated 20,000 participants are expected to join NBC4's Today in LA Morning News Team -- including Meteorologist Crystal Egger, Co-Anchors Whit Johnson and Daniella Guzman, and Traffic Reporter Holly Hannula -- as they host March for Babies®, the annual event organized by March of Dimes on April 25, 2015. Celebrity mom and fitness expert Jillian Michaels and LA Kings Captain and Mission Dad Dustin Brown are also scheduled to appear. NBC4 Southern California is a media sponsor of March for Babies, and this is Crystal Egger's second year hosting the Los Angeles walk. The walk will step off from the Natural History Museum in Exposition Park at 8 a.m., passing the Los Angeles Coliseum, before making its way up a closed-to-vehicular-traffic Figueroa Blvd on a 3-mile journey. March of Dimes is a leading nonprofit organization for pregnancy and baby health, supporting research and community-based programs that help mothers have full-term, healthy babies. March for Babies events have been held annually since 1970, and have raised a combined total of $2 billion to help all babies get a healthy start in life. To register for the event, visit at www.marchforbabies.org.